If the thought of having to scrape ice off another windshield while the hair in your nostrils slowly freezes makes you want to push the snooze button until spring, it’s time for a little flower therapy. Winter can be tough. The days are dark and you might not see the sun between punching the clock in the morning and making your way precariously home through icy streets. It’s hard to remember that this too shall melt and your frozen toes will one day walk barefoot on soft, spring grass. When you can’t stand one more day of sub-zero weather, try one of these hothouse flowers that will melt your heart (even if they can’t do much for your heating bill). The name says it all. Bright, round and wonderfully sunny, these summertime flowers can be found at your florist year round and are surprisingly affordable. 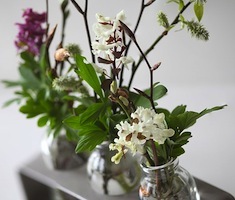 A few tall stems in a vase on the counter will fuel a week’s worth of smiles and warmth. To choose the freshest sunflowers, give the base of the stem a squeeze- it should feel firm and appear green or white in the center. 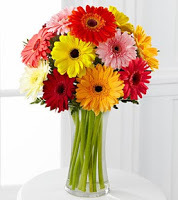 With the shape of a sunflower, but in almost a rainbow of pastel colors, the gerber daisy is the perfect pick to remind you that spring is on the way. The tall, slender stems of this flower are leafless, but look amazing bunched together in a short vase. 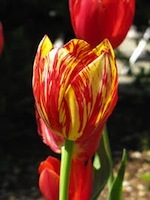 There is no greater harbinger of spring than these colorful, blooming bulbs. Available this time of year from your florist’s cooler, a single tulip in a clear, glass vase will thaw your spirit while the temps are low. These dainty blooms are not afraid of the cold and will be sold in bunches this time of year. During their prime, in the warm months of summer, these small and trailing flowers have a sweet, soft scent that seems to smell strongest at night. 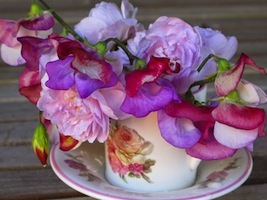 Delicate and vine-like, the flowers of the sweet pea come in every color of the rainbow and look great on their own or mixed with other flowers like gerber daisies or hypericum berries. 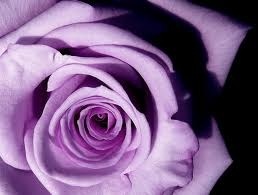 The iconic symbol of summertime love, the rose is a flower that can’t help but warm the blood. While those available this time of year will have been imported from warmer climates, the blooms will last for a week and are available in a variety of sizes and colors. 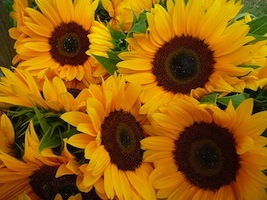 Try an orange or coral colored one mixed with a few stems of yellow for a hue that helps keep winter’s chill at bay. For a thrilling flower that will thaw any room for the last few months of winter, a potted orchid is the perfect choice. Choose a small, blooming plant from your florist and enjoy the flowers until the snow finally melts.